During the 12th and 13th centuries, the great majority of European states were Christian and religious communities fulfilled an important role in the spiritual, cultural and economic life of the community. Monks’ lives were divided between prayer and manual or intellectual work. They followed rules and obeyed an abbot. Monks also had the work of evangelisation and teaching. They formed the intellectual elite of the time, producing a great many written works that included biographies, chronicles and annals, but also making works of art such as illuminated manuscripts and silverware. Founded by three brothers from Walcourt in 1192, the religious community of the Priory of Saint Nicholas in Oignies (close to Tamines, in the province of Hainaut) followed the rules of Saint Augustin. With few resources, its members preached and undertook certain parish activities. Remacle Le Loup. Engraving. Extract (P.-L. de Saumery), Les délices du païs de Liège, plate 2, Liege, 1740, between p. 320 and p. 321. 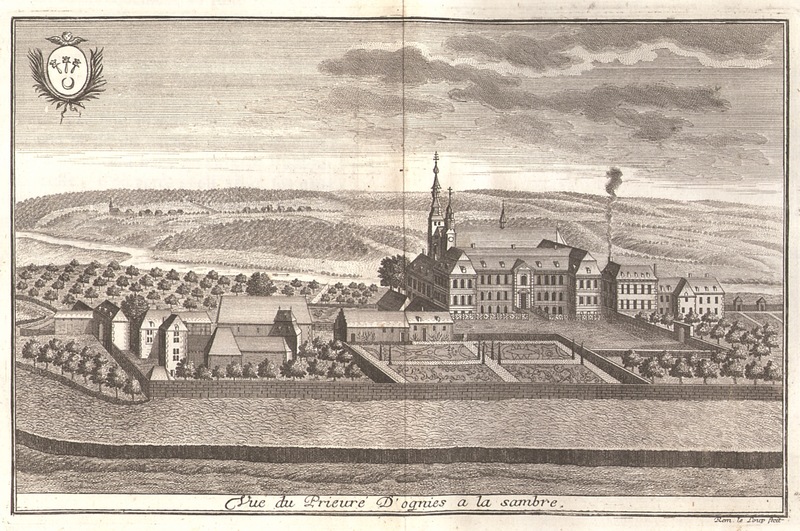 View of the Priory of Oignies as it existed before the dissolution of the community following the troubles relating to the French Revolution.